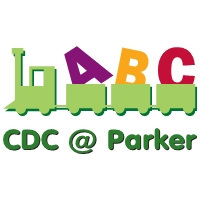 At the CDC at Parker, we believe in enriching young children through a multitude of activities, songs, stories, games, and loving instruction. Our state-of-the-art daycare facility welcomes children beginning at six weeks of age and nurtures them and their love of learning through our toddler, nursery, and preschool programs, until they reach five years of age. Featuring flexible scheduling with optional extended hours, full and half-day options, a warm, nurturing, and experienced staff with years of experience, our program strives to meet the needs of all children who come through our doors. The most important goals of the CDC curriculum are for our children to become self-confident, independent, and enthusiastic learners who can work well with others. We engage our children in thoughtful, creative, and stimulating activities which encourage them to think, reason, and experiment, all while fostering a positive self-image. Located in Parker at Stonegate in Highland Park, we also believe in the Eden Philosophy, which states that the lives of senior citizens are enriched by children, animals, and plants. As such, our classes visit different parts of the Parker facility to engage in activities and projects with seniors. The goals of the program include forming meaningful relationships between children and adults; providing an opportunity for multi-generational experiences that increase cooperation, interaction, and exchange between children and adults; and encouraging sharing of knowledge of the elderly with the children, thus fostering an understanding of the aging process. This website is dedicated to Soledad Chacon-Rodriguez, a co-creator of our school website: a beautiful friend and mother who was always at our side to give help, an encouraging word, or a smile on a gray day. We love you.